Cleveland had a nice little winning streak a few weeks but, but everything has come crashing down. During their first year without LeBron when he was in Miami, the team went 19-63. A few more losses in a row and the result will be exactly the same. 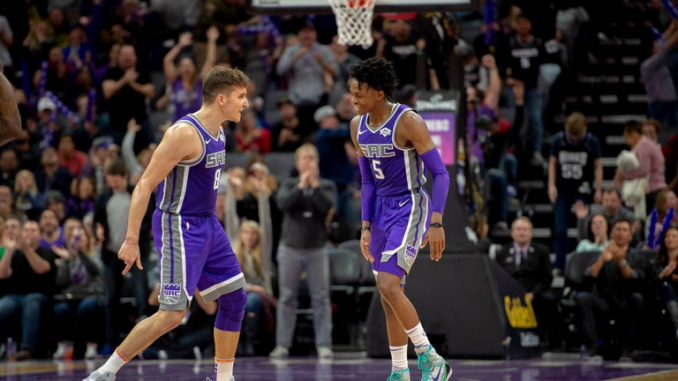 Sacramento, on the other hand, has handled their injuries with impressive poise, and though they will miss the playoffs for the thirteenth year in a row, they will come into next season as postseason contenders, which has not been the case since they last qualified. In a year that has featured 3X as many losses as wins, you have to look at little things to find happiness and success if you’re a fan. Let’s start with the progression of Collin Sexton, who struggled in the early part of the year. He turned out to be a guy who can regularly lead the team in scoring and is a terrific change-of-pace guard. Larry Nance Jr. proved to be worth his 4-year contract, and when he has filled in as a starter, has put up some impressive stat lines. Jordan Clarkson is also one of the best scorers among all the league’s sixth men. When he was healthy and playing with starters, Kevin Love was able to make a significant impact on games. Cedi Osman was out there looking like a future star on certain nights. The Cavs will get a terrific draft pick in June, and whoever they get, will immediately improve them and help them take the next step, hoping to get out of the cellar next year. They had their ups and downs all through the season, but there was never a time where the Kings were well-over .500. And that is the issue when you compete in the West. You have to bring you’re A-game from the start of the season, and allow yourself to go through a cold stretch while still qualifying for the postseason, like the Rockets this year. Despite a horrendous beginning, they will be finishing this season in the #3 spot. They made a few deals at the deadline, but they did not open up any additional minutes in the rotation. They score the tenth most points in the league, with youth very much being on their side. Buddy Hield has become a regular 20+ scorer, while DeAaron Fox showed tremendous improvements this season. The team opted to take Marvin Bagley III with the #2 pick, and he has responded by becoming a guy who seems to be on his way to becoming a star next season. This will mark the third time this decade that the Cavs lost at least 60 contests. Be sure you bet SAC -9.5! Whether or not Kevin Love suits up for CLE, it will not help their cause. If you own Sexton or Clarkson in fantasy, play them. But besides that, no positives for CLE tonight.